Luxembourg is a beautiful, albeit tiny country situated between Germany, Belgium, and France that can be easily explored by train. Start in the capital of Luxembourg City, which is clustered around two rivers and boasts some stunning medieval fortifications. Make your way up to beautiful Troisvierges on the Belgian border, venture east towards Germany, or travel southwest to Esch-Sur-Alzette, the country’s "second city" perched on the border with neighbouring France. Because of its size, there is Interrail pass available for Luxembourg. 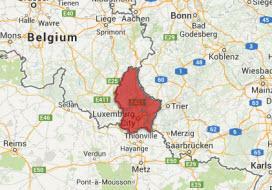 However, there are some multi-country rail passes which incorporate Luxembourg as a destination. The Interrail Global Pass is an excellent choice of ticket if you want to visit several different European countries, Luxembourg included. A total of 30 countries are included in the pass and you will have many different options when it comes to the number of travel days and the length of time in which you travel. Another Luxembourg rail pass option is the Interrail Benelux Pass. 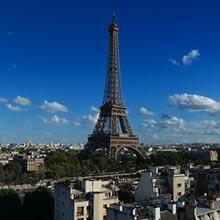 Benelux is the name for the region incorporating Belgium, the Netherlands, and Luxembourg. With this pass, you can travel between these three countries freely. The pass can be tailored to allow travel on three, four, six or eight days within a period of one month. The more travel days you opt for, the more expensive the pass - however, discounts are available for students, youths, seniors, and families.